Eden Pure Wool Duvet Inner is naturally warm, insulating, and durable. 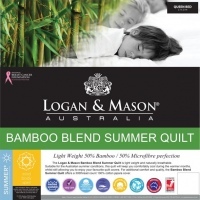 Featuring 500gsm high loft Australasian wool filling perfect for the chilly winter months. 100% Cotton Japara casing 290 threads per 10cm sq. Wool and Cotton Japara naturally breathe and deter dust mites. Thoroughly washed and sanitised using processed compliant with the Oeko-Tex Standard 100. A naturally luxurious warmth. Outer Fabric: 100% Cotton Japara. Filling: Premium High Loft Wool.